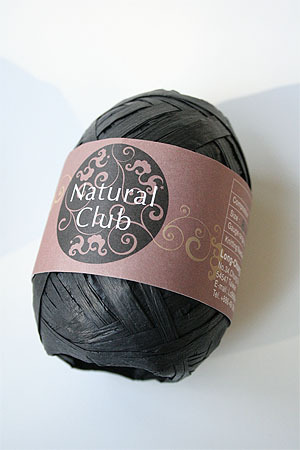 Fabulous paper yarn in ribbon in 21 Black - you can knit this up any way you want - as a trim, with another fiber - its wonderful for bags and pouches, and pom poms too! This is so fab - a paper yarn that looks like leather - no kidding - can anyone knit a leather jacket for us? Gauge: 3/4 st per inch, but completely depends on how you use it!